Keep up the pace on roads or trails in style with the SKECHERS BOBS Alpine - Keep Trekking boot. 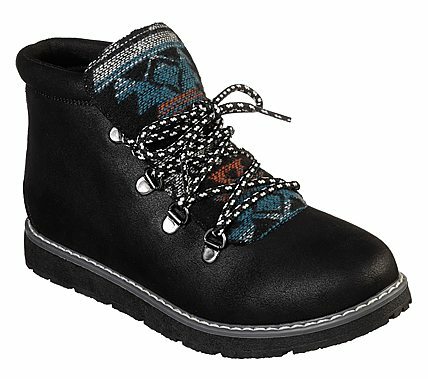 Smooth microfiber fabric and suede upper in a lace up casual ankle boot with stitching and overlay accents. Memory Foam insole.